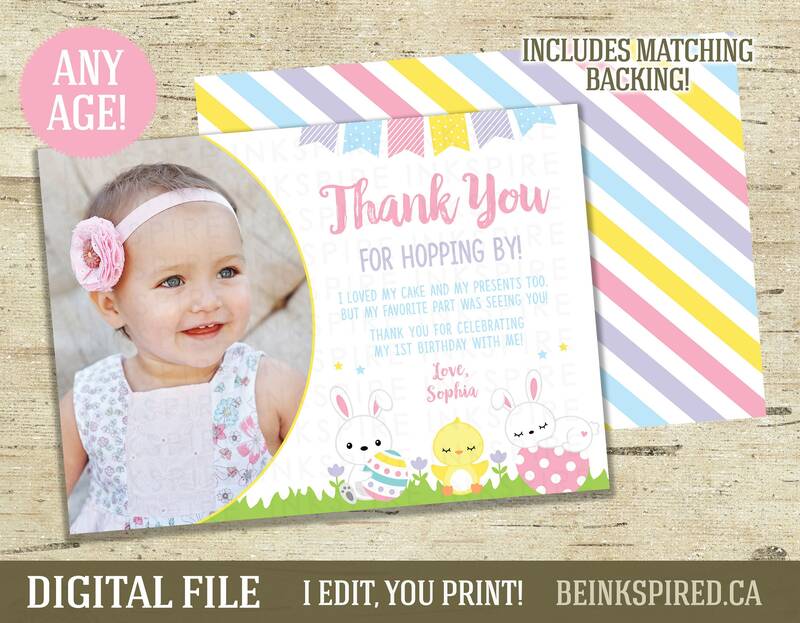 Thank your guests for HOPPING BY with this personalized thank you card. I EDIT, YOU PRINT! ► Step 2: I edit the design and e-mail it to you. ► Step 8: A proof will be sent to you within 1 BUSINESS DAY of receiving BOTH your order and your child's information/photo. Dinosaur Thank You Card - DIGITAL FILE - Personalized Dino Birthday Thanks Card - Add a Photo! Other Colors Available! Pink, Mint & Gold Glitter Wild One Thank You Card - Printable DIGITAL FILE - Personalized Tribal First Birthday Thanks Card - Add a Photo! Wild One Thank You Card - Printable DIGITAL FILE - Personalized Pink, Mint & Gold Glitter Photo Card - Change the Message! Add a Photo!